Deal directly with a fair and honest local business owner who is reliable and has over 37 years experience in heating and air conditioning service. Owner, Bryan Jordan and his experienced team of experts are locals to the Heber, UT & Park City area. 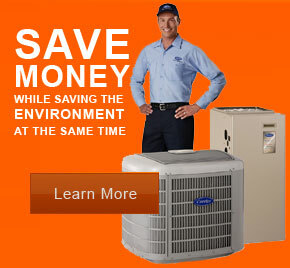 Jordan Heating and Air Conditioning is readily available, and is proud to feature personal service and honest pricing. Often, we can fix, repair or install your heater or air conditioner faster and at a better price than other contractors, partially because we keep our overhead low. We don’t have a huge advertising budget and we’re not some large conglomerate. We built our business and our reputation on helping people like you keep their Heber homes and businesses comfortable at a price that’s fair and reasonable. In most cases, we can take care of your air conditioning, heating and refrigeration needs on the same day. Our goal is to provide unparalleled customer service at unbeatable rates. We service all makes and models, and are a preferred dealer for some of the top products in the industry, including Lennox, Carrier, and Bryant. More importantly, we can fix almost anything that relates to the comfort of your home or business, often faster and at a better price than other contractors can. Need it to be fixed fast and done right? You’ve come to the right place. For all of your heating and air conditioning needs! Thank You Jordan Heating, Brian and Employees for helping me over the years by installing a new 1rst class furnace and water softener just recently. So nice to have a company show up promptly, install the heater and clean up the mess the old heater had created. Jordan Heating and Air Conditioning really came to our rescue this summer! It was a scorching hot July day when our a/c unit went down. Bryan found time in his busy schedule to come by and repair the unit within hours. He was even able to fix the unit with parts he had on hand. Bravo! Our furnace blew out in the middle of February. We called Jordan Heating and Air Conditioning to see if they could solve the problem within 24 hours. We had a house full of guests coming the next day. Fortunately for us, they were able to replace our failed system before our guests arrived. You really saved us. Thank you Bryan! I had an a/c unit stop working on me at a rental property I own. The first contractor I contacted gave me an estimate for a new motor which would cost me over $400. The second contractor I contacted, (Jordan Heating and Air Conditioning) fixed the problem on the spot with a part he had on hand. His honesty and expertise saved me $100’s literally. You have a new customer for life. You can rest comfortably knowing that we service all makes and models and are a preferred dealer for some of the top products in the industry.